And so we see the giants fall. CNN just announced that Eastman Kodak (NYSE:EK) has begun preparations for a possible bankruptcy filing. For people who have been following (or worse: using) the sub-par digital cameras they produced over the past years this may seem logical. The only thing that may still save them is the value of the patents that they hold. But will it be enough? Probably not. This is a historically significant moment. Kodak was founded in 1880 – it has been around for more than 131 years – from the early days of photography. In 1884, George Eastman developed the technology of film to replace photographic plates, leading to the technology used by film cameras up to this day. In the 20th century it dominated the photography and imaging industry, using a business model of selling affordable cameras and making most of its money on consumables — film, chemicals and paper. 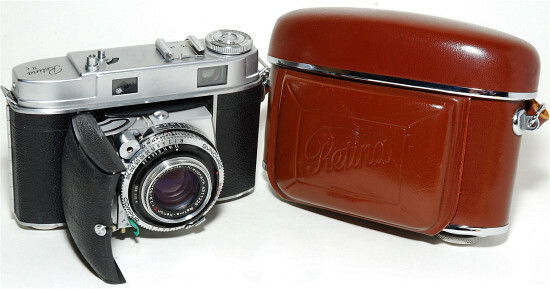 My own first camera was a Kodak Retina II (see picture below). It was exquisitely made, and lit in me the love of cameras and photography. The iconic Kodak Retina - my first camera. Then the digital era came. In the 1990s, Kodak had (wisely) planned a decade-long journey to move to digital technology. Fatally, this planning was never fully implemented. Kodak’s core business faced no pressure from competing technologies, and Kodak’s executives failed to foresee a world without traditional film. 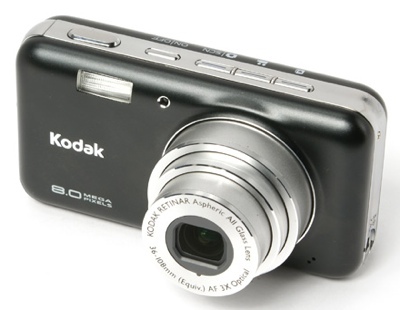 After 2001 the digital photography revolution gained full momentum, and Kodak was in trouble. It tried to regain lost ground by selling cheap easy-to-use “Easyshare” cameras. Unfortunately for Kodak, the low-end compact camera market is a crowded one, and competition with Eastern companies undercut profitability. And despite their ease of use their cameras lacked two very important things – image quality and personality. In my opinion, quality and personality is what made Apple such a success, and Kodak a failure. In recent years Kodak was losing money fast, and needed to find a new core business. Too late, they shifted focus to photo printers and printer ink, but this came too expensive, and too late. R.I.P Kodak. You made your mark in history, but you will not live to see the future.